The Primary Peach: How to play Kahoot without student devices! I LOVE how engaged and excited my students are when we play Kahoot. I LOVE that my students do amazing on my tests if we play Kahoot to review. But...what I don't love is how off-the-chains-crazy they get! I know they're having fun but it gets insane! I also don't enjoy the technology issues that go along with any lesson like this, students get kicked out in the middle of the game, it takes too long to log in, and not everyone has a device in my classroom. Unless you are a 1:1 school (I'm so jealous!) then it is hard to have devices for everyone to play along. Sometimes I really just want to use Kahoot as a formative assessment to see what my students actually know about a topic we have been studying, and not have them act like crazy people. So I came up with the paper Kahoot response system. All you have to do is use the game pin and log on with one student device (I actually just use my phone!) Then pass out the templates. If you already have them folded it works best. 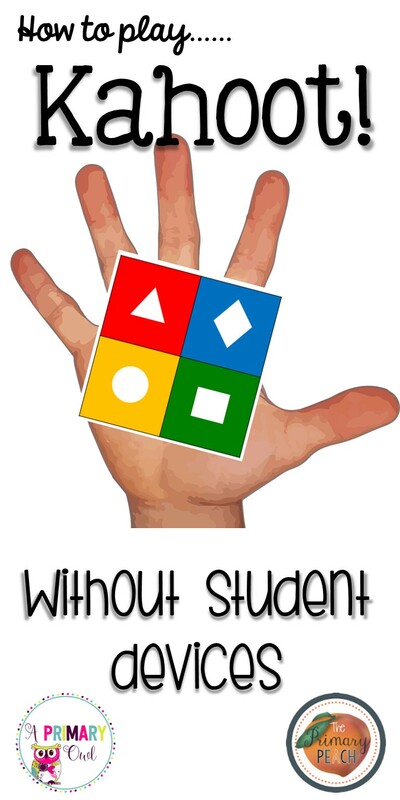 Then demonstrate to students how they will show you their answer. I love doing it that this way, the student can kind of cup the answer and not show it around to everyone but you. By playing Kahoot like this, it's actually a little calmer because they are trying to get the correct answer, not just just trying to be first. And you actually can scan the room to see who has it correct. Click on the template (on the right) and you can download it for FREE! I usually try to change things up in my room and not do it the same way every time. Sometimes, I just let them be crazy people! 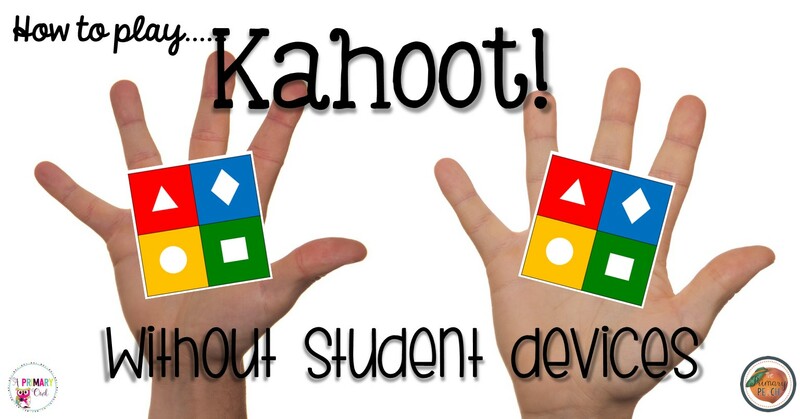 Do you love Kahoot? Kahoot also works great with plickers. This also grades and graphs the students response. I love those for a quick ticket out the dart. While these activities may give some assistance help with paper to the primary concern, I have discovered that it has little effect on the understudy involvement. Pasad is a product design at a cutting edge organization. He is cheerful at his organization,HOSPITALITY MUT however realizes that an advanced education will enable him to progress, additionally, his organization will repay his educational costs.